There is one thing I know for sure: we should never take anything or anyone for granted. The saying “Here today, gone tomorrow” rings true for many of us, unfortunately. Such is the reality of life. That is why we must savor every moment and appreciate those around us – open our eyes, ears and minds to all the wonderful experiences that are ours to earn and to claim. What connects us – to ourselves, to each other, and to everything we do – is very basic… so basic, in fact, that not only do many of us take it for granted, we also fail to maximize its potential. What does “it” refer to? 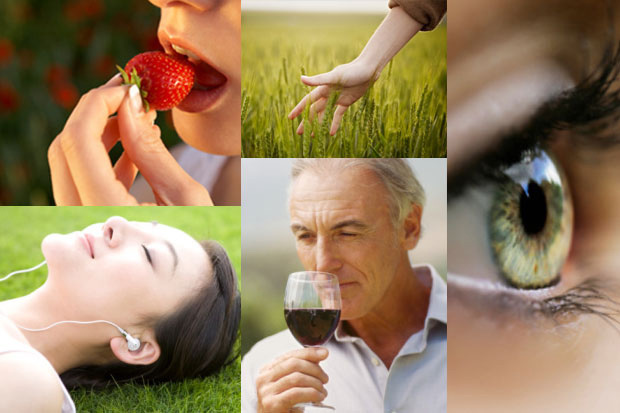 We have five basic senses: sight, sound, smell, taste, and touch. When we utilize these senses to their fullest extent and in every aspect of our lives, we achieve success and fulfillment… and, most of all, balance. Those who are missing one or more senses (due to blindness, deafness, a physical inability to smell, impaired taste buds, or paralysis) often find that their remaining senses are heightened. In the following weeks, I will be writing about each of the five senses – exploring their impact and potential, and sharing a few pertinent anecdotes along the way. Storytelling is, after all, the most powerful way to connect people with ideas and thoughts. And finally, I will dedicate a blog to what is commonly referred to as the “sixth sense.” More on that later. Until then… enjoy the journey. This entry was posted in heatherfromthegrove, inspiration, lessons learned, other musings, spirituality, writing tips & tools and tagged Balance, five senses, Heather Joan Marinos, Heather Marinos, heatherfromthegrove, Jean Houston, life journey, Savor the moment, Sight, Sixth Sense, Smell, Sound, storytelling, take for granted, Taste, Touch. Bookmark the permalink.